At Scott English Plumbing, we employ a highly experienced team of professional technicians who can repair a wide variety of Anaheim Hills tankless water heaters. In order to offer comprehensive services, we’re also prepared to help with an Anaheim Hills tankless water heater replacement job, and we’ll offer advice while keeping your best interests in mind. We maintain a fully stocked shop at 1230 North Jefferson St, Suite H, Anaheim, CA, 92807, so that we can respond to issues in a timely manner. Call our office at 714-987-9801 or 949-462-9773 today to set up an appointment. Our Anaheim Hills tankless water heater repair services are easy to use. You can trust us to diagnose the problem properly, and we’ll explain your different options for getting it fixed. If we can’t find a suitable solution for a repair, we can take care of the details of a tankless water heater replacement in Anaheim Hills. Each step of the process will be given our full attention to ensure that everything goes smoothly and nothing on your property gets damaged. Regardless of the type of issue you’re having, you can trust us to have the parts and knowledge to get it fixed. We work with many different brands of tankless water heaters in Anaheim Hills and are committed to giving each job that we take our undivided attention from beginning to end. We maintain open and honest lines of communication, and we want our customers to feel free to ask us any questions they have about their choices. To allow people to have confidence in their high-efficiency water heaters in Anaheim Hills, we work meticulously and use parts that will function properly for a long time. Our technicians receive ongoing training and stay current with new makes and models of heaters so that they can resolve any issues they come across. Everyone on our team is dedicated to the complete satisfaction of each of our customers, and we’ll go the extra mile to offer exceptional services. To take the stress out of tankless water heater repair in Anaheim Hills, we charge low and flat rates for everything we do. We’ll provide you with a price estimate for a job before we start to allow you to see our competitive rates for labor. We use products that we believe are a great value for the cost. 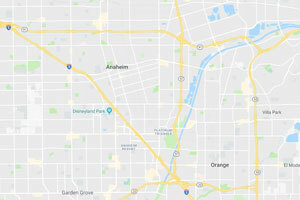 We’re prepared to take on any tankless water heater replacement in Anaheim Hills that you have. We’ll remove your old heater carefully and train you on how to operate your new one. Scott English Plumbing has been serving the community since 2001, and we’ll back our results with a guarantee of success.